Still, Hong Kong’s Hang Seng Index HSI, +0.25% was up 0.4%, rising above 29,000 points at a 10-year intraday high, with shares of China Literature 0772, +0.00% nearly doubling on their first day of trading amid the global frenzy for technology stocks. “Companies like Tencent are seen as unstoppable,” said Joshua Crabb, head of Asian equities at Old Mutual Global Investors. Tencent shares 0700, +1.48% which have logged five straight record closing highs, were off 0.4%. Elsewhere, Japan’s Nikkei Stock Average NIK, -0.18% was down 0.3%, after the index jumped an additional 1.7% in the previous session to near-26-year highs. Currency headwinds weighed on stocks as the yen rebounded, with the U.S. dollar JPYUSD, +0.171332% last easing to ¥113.75 from ¥114 in late New York trade. Elsewhere, Australia’s S&P/ASX 200 XJO, +0.04% was flat, after closing above 6,000 for the first time since 2008 in the previous session. Singapore’s Straits Times Index STI, +0.10% fell 0.2%, Indonesia’s JSX JAKIDX, +0.16% was down 0.2%, while Taiwan’s Taiex Y9999, -0.21% edged 0.1% lower. Meanwhile, South Korea’s Kospi SEU, +0.10% reversed early losses to rise 0.4%, driven by a 1.6% gain for Samsung Electronics 005930, +0.93%, while the Shanghai Composite Index SHCOMP, +0.40% added 0.4%. Broadly in Asia, financial stocks took a hit on doubts about the future of a U.S. tax overhaul. 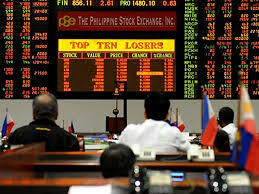 Japan’s Topix bank subindex was down 1%, while South Korea’s Hana Financial 086790, -1.62% and Industrial Bank of Korea 024110, -1.30% slipped 0.9% and 0.3%, respectively. In commodities, oil prices were down after a modest pullback Tuesday. Brent LCOF8, -0.27% , the global benchmark, was off 0.2% at $63.56 a barrel, while Nymex futures CLZ7, -0.42% were down 0.3% to trade at $57.02.